Press crust mixture into bottom and sides of pie pan. Bake for 10 min. Set aside to cool. Increase oven temp to 350*. 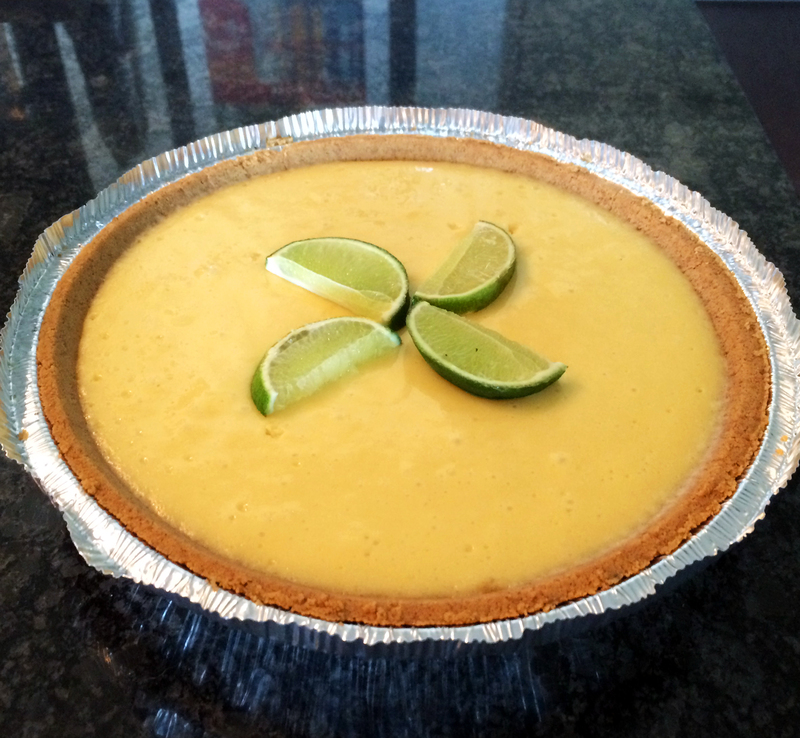 Combine milk, yolks, and lime juice in large bowl, beat with hand-mixer until smooth. Pour filling into crust, bake for 15 minutes. Let pie stand for 10 minutes before refrigerating. To serve top with whipped cream and lime garnish.